You are here: Home / Entertainment / Laugh your way to health and happiness, inspired by Big Hero 6! 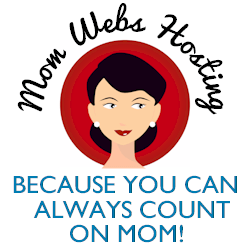 This is part of a sponsored collaboration with Latina Mom Bloggers and Disney Studios. • Counting your blessings… big AND small. Having a sense of gratitude will help you appreciate what you have and focus on the positive. ¡Cuenta tus bendiciones! Happiness is a warm hug. Un abrazo te llena de felicidad. • Getting healthy. Good health is the groundwork of all happiness; eat well and exercise so you’re feeling your best. ¡La base de toda felicidad es buena salud! • Laughing. Even at yourself! It releases stress and does the body good. ¡Reírse de uno mismo es una de las mejores terapias! Happiness is your best friend! Una mascota te hace más feliz. • Making time for yourself. A little ‘me’ time allows you to recharge mentally, physically and emotionally. ¡Encuentra tiempo para ti! • Reconnecting with your loved ones. Spend time with family and friends each day and cultivate warm and trusting relationships with others. Go hug someone. ¡Pasa más tiempo con tu familia y tus amistades! Happiness is having a sister. Mejores amigas. • Sleeping. 7-9 hours a night. It re-energizes you! Lost sleep is a debt you can never pay back. ¡La falta de sueño es una deuda que no se puede pagar! • Spending time outdoors. Fresh air, sunshine, and nature always boost your spirits. ¡La naturaleza es lo mejor! Happiness is playing outside in the snow! Feliz de jugar en la nieve. • Starting a hobby. Engaging in activities that you’re passionate about will bring you joy. ¡Descubre qué te apasiona en la vida! • Volunteering. Helping others will help you feel good about yourself and appreciate what you have. It’s in giving that we receive happiness. ¡Cuanto más damos, más recibimos! • Watching a great movie. A little Baymax from the hit movie Big Hero 6 can go a long way! 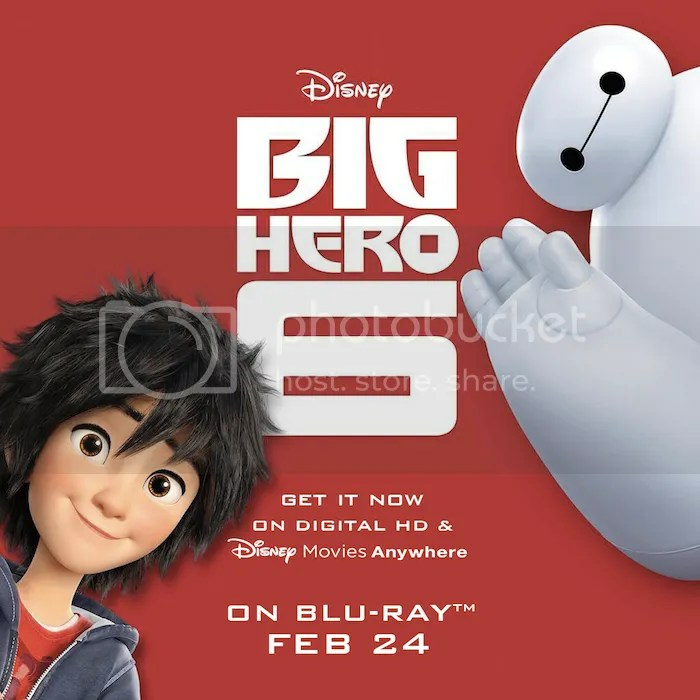 I just watched this animated film with my kids and have exciting news to share – Big Hero 6 is now available on Disney Movies Anywhere, and on Blu-ray™ February 24th, 2015! ¡Es una hermosa película! With all the heart and humor audiences expect from Walt Disney Animation Studios, Big Hero 6 is an action-packed comedy adventure that introduces Baymax, a lovable, personal companion robot, who forms a special bond with robotics prodigy Hiro Hamada. When a devastating turn of events catapults them into the midst of a dangerous plot unfolding in the streets of San Fransokyo, Hiro turns to Baymax and his diverse group of friends— adrenaline junkie Go Go Tomago, neatnik Wasabi, chemistry whiz Honey Lemon and fanboy Fred — who transform into a band of unlikely heroes. Bring home Disney’s Big Hero 6… featuring comic-book-style action and hilarious, unforgettable characters, it’s fun for the whole family! Do you take a ton of photos? Put them to good use – participate in the #BigHero6Sweeps 7-day Photo Challenge! Share your photos following the theme of ‘Happiness & Health to Live a Better Life Every Day’’ between now and February 28th for the opportunity to win some fantastic prizes, including a $500 Disney Store gift card and Big Hero 6 Blu-ray™ Combo pack! Join us on Tuesday, February 24th from 9-10 PM EST for the #BigHero6Sweeps Living a Happier, Healthier and Better Life Sweepstakes via Twitter Party for the opportunity to win great Disney Store gift cards and prizes. And have you liked Be Hero 6 on Facebook? And follow the instructions in the widget below. Prize: Big Hero 6 Blu-ray DVD Combo pack, ARV $18.90. Giveaway open to U.S. entries only, ages 18 and up, and ends Saturday, February 28th, 2015 at 11:59pm EST. The prize was provided by Walt Disney Studios Motion Pictures and I have been paid to blog and promote the film. Walt Disney Studios Motion Pictures is not a sponsor, administrator, or involved in any other way with this giveaway. All opinions expressed in the post are my own. My baby girl makes me happy because she is my everything! I have not seen this movie, but my daughter who is 14 loves it! We all enjoy a good movie now and again. I also enjoy spending time with my family and I love working on my hobbies (blog included). Spending time with my kids and seeing them be kind to others makes me happy! We got our copy a few weeks ago and have watched it about 100 times already LOL. I am praying with all my heart and soul AND CROSSING my toes and fingers to win this movie! It’s the coolest super hero movie and emotional film I’ve seen in ages! My grandchildren make me happy. A few years ago when my own 4 children began moving out and starting their own lives without my husband and myself, I was sad and felt like my mothering days were over. Now that they are all starting to have children of their own, I feel new again! I feel like I am still needed and wanted and there is nothing better than to have a sweet little grand baby to brighten your day! These are all great tips. Laughter is truly the best medicine, and you’ll get more laughs living life than anything else. Stacie @ Divine Lifestyle´s last blog post ..Beautiful Puerto Rico is Calling! One of the things that makes me happy is my kids laugh. It is music to my ears! So many things make me happy, but my family makes me the happiest of all. I love their smiles and hugs. This is great! My kids really enjoyed this movie! They’d love this! What makes me happy? see my daughter growing up to be a sweet thoughtful little person. She always makes my day. My kids and hubby. They are my everything. What makes me happy? Sunday nights. Kids in bed early, I have my peace and quiet and tune out to the walking dead 🙂 My sanity amongst every day chaos. We love this movie. My son was over the moon thrilled about it because it was all about engineering and building in a way. What a positive post this is a great reminder for everyone 🙂 I really enjoyed reading it. Laughing is definitely one of best things for me! Look at all of that snow! How beautiful! And I love that hug. Should a lovely picture. I’m going to watch that on the plane going home, I think. Also, I’ve learned well how important sleep is! Nothing makes me happier than when everyone in my family is happy! Laughter is a huge part of that! I love to laugh! I surround myself with people who love to laugh too! My favorite Disney movie! We are buying it tomorrow! We love Baymax…what makes me happy is being at home with my family and our fur baby. Time together is priceless. Lorane´s last blog post ..Guys Take On : Can A Girl and a Guy be Friends? Our whole family loved Big Hero 6! It’s a great family movie with a lot of positive messages. Your photos are great! Ashley @irishred02´s last blog post ..Frozen Birthday Party Decorations, Games, Food, Free Printables and More! I can’t wait to see this movie. It seems so adorable! We got snow here too! It looks like the kids had a blast playing in it! I feel that laughing is a great way to improve your mental health. Whenever I am sad, a good laugh can help to cheer me up! I really like Big Hero 6 – it’s a great movie! This movie won an academy award so it must be good! I wonder if its gonna be the Frozen of 2015!! I haven’t seen this movie yet, sounds like a lot of fun! The pictures of your kids are so adorable! I know that sleeping is important but how to you find the time to manage 7-9 hours a day/night? My kids love BIG HERO 6. Great tips! Spending time with my family makes me happy because I love them. I am anxiously awaiting for this to come in my mailbox today. We are planning on watching it with my mom for her birthday on Thursday. Laughing is great. Happy is the best attitude. Debbie Denny´s last blog post ..Entrepreneurs Shine as Philanthropists! Laughter truly is the best medicine. Love these pictures! My kids and I are so excited to see Big Hero 6, too. Seeing my kids play together makes me happy because it is nice to know they are best friends! Great tips! It is so true that we need to count our blessings, big and small! I totally drove to Walmart today to buy this movie! I can’t wait to watch it tonight. My kids make me happy! My whole family loves this movie! It makes us all happy! I enjoy being outdoors and spending time with my family! Why! because it is simple things that are most fulfilling! My boyfriend makes me so happy, because he is funny and an awesome caring man. My family makes me happy! I am happy that they are healthy and that we can enjoy the weekends together. Watched it tonight!! Such a great movie! What makes me happy? I am thinking just peace and quiet would be perfect any time of day! It really is the little things that can make life so much happier! My husband always says that a merry heart does good like medicine. So thwre is something to be said for laughing and being happy. Nothing makes me happier than snuggle time with my kids t the end of a long day! My kids just loved the movie and have seen it quite a few times now since we got an advanced copy. I need to work on the sleep one really bad. I am no good to accomplish everything else without the energy to do it. This really opened my eyes. Thank you! My kids make me happy because I love watching them learn new things each day. Seeing my daughter happy makes me happy.